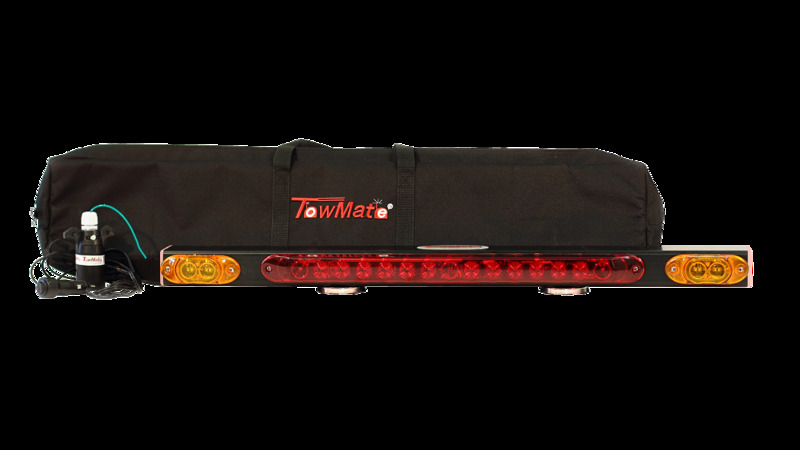 32" wireless magnetic taillight system w/ supplemental amber indicators provides stop, tail, and turn signals with ease. Brake function will illuminate the red light while the turn signal will illuminate the appropriate left or right side of the red strip and the correlating amber light. This system includes a 12v Power cord to power the light bar from a cigarette socket. Lifetime warranty on electronics and LED's. Range 1000 feet. Plug the transmitter into your vehicle to be towed. Flip the ON/OFF switch on the unit to turn it on.